Q. I'm told we have a web site where I can buy software at a special student discount. I want to get Windows 10, but I don't want to pay the big upgrade price. I also need Adobe Creative Cloud. Chattanooga State and Tennessee Board of Regents have arranged for purchases of software at reduced prices through a website called OnTheHub (formerly e-Academy), run by Kivoto. YOU MUST BE A CURRENT CHATTANOOGA STATE STUDENT OR EMPLOYEE TO PURCHASE SOFTWARE FROM ONTHEHUB. To purchase software, go to the OnTheHub storefront at http://chattanoogastate.onthehub.com/. 1. Click on Sign In in the top right corner. 2. Sign in with your TigerMail address (for students: yourTigerID@my.chattanoogastate.edu) and your original OnTheHub password. If you don't remember your password, follow the link provided on the sign-in page for forgotten passwords. 1. Click on Register in the top right corner of the page. 2. 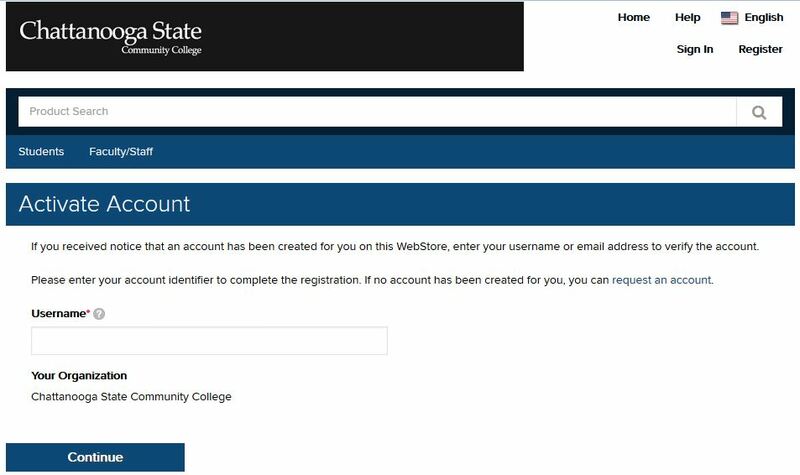 For your Username, type in your full Chattanooga State email address (for students: yourTigerID@my.chattanoogastate.edu) and click Continue. 3. The system will then send a verification email to your TigerMail account with further instructions. Look for an email from noreply@kivuto.com. After registration, students can get the software available under the Student tab, and employees can get the software under the Faculty/Staff tab. Some software is available for permanent purchase and other software is only available as a subscription (the price given may be a monthly rate or a 1-year subscription), so read the descriptions carefully. Please read the help files on the OnTheHub website for answers to questions about purchasing, downloading and installing the software. There are restrictions on the number of times you can purchase and install their software. If you have questions or problems, please contact Bettye Jo Lewellyn at bettye.lewellyn@chattanoogastate.edu.